Norway is a county in Europe and is rich in traditional Christmas traditions and customs. One of the Norway’s very own Christmas traditions is giving porridge to Nisse. Nisse is said to be a little gnome that guards farm animals. He tends to play around kids who does not leave treats for him comes Christmas day. Another Norse Mythical creature come to life during Christmas time is Jalebukk the Christmas Buck. Jalebukk was a mythical creature based on the old Norse Mythology that includes Thor and his goat. During the Christmas holidays, some men would dress like goats and pretend to be Jalebukk. The traditional Christmas Dinner in Norway includes Cod, rice porridge, potatoes and ginger bread. They also like to drink fruit punch. The people of Norwayhave its own version of the Christmas cookie. They call it Sand Kager, and is made of flour, butter, sugar and almonds. Sand Kager are thin square shaped cookies baked till golden brown. Figs, dates and nuts are also popular Christmas treats during the holidays. Norse children are allowed to go outside the neighborhood to ask for treats from their neighbors and relatives. This Christmas Tradition dates back from the time of the Vikings.These can happen for almost a week, for the days in between Christmas and the New Year. Christmas celebrations in Norwaystarts on December 13, the feast of Saint Lucia. During that day, the youngest daughter dresses up with white robes with a sash and a crown of evergreens. Young boys on the other hand dresses like star boys in their white shirts and pointed hats. They wake up early, and serve breakfast to their parents. Christmas Trees are also popular inNorway. Spruce and pine trees are popular choices for Christmas trees. Christmas present s to good children. 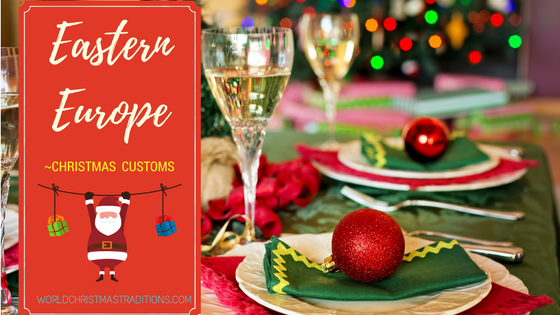 Merry Christmas everyone from WORLD CHRISTMAS TRADITIONS!! !